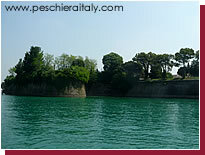 Peschiera is a little different from most of the resorts at the southern end of Lake Garda. It is actually a fairly large town where the centre does not front onto the lake. For that reason, the attractions of the location are a little bit hidden away from those passing by on a lake ferry and Peschiera has more connections to inland locations than most of the other lakeshore villages. 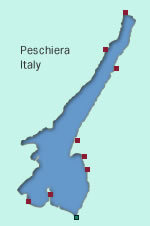 We hope you find the Peschiera Italy website useful and look forward to hearing your comments about the site and the location. We especially welcome any views about the town from those who have stayed there.